This long skinny front yard garden was all turf. Our client wanted to replace the turf with drought tolerant, low maintenance plants. 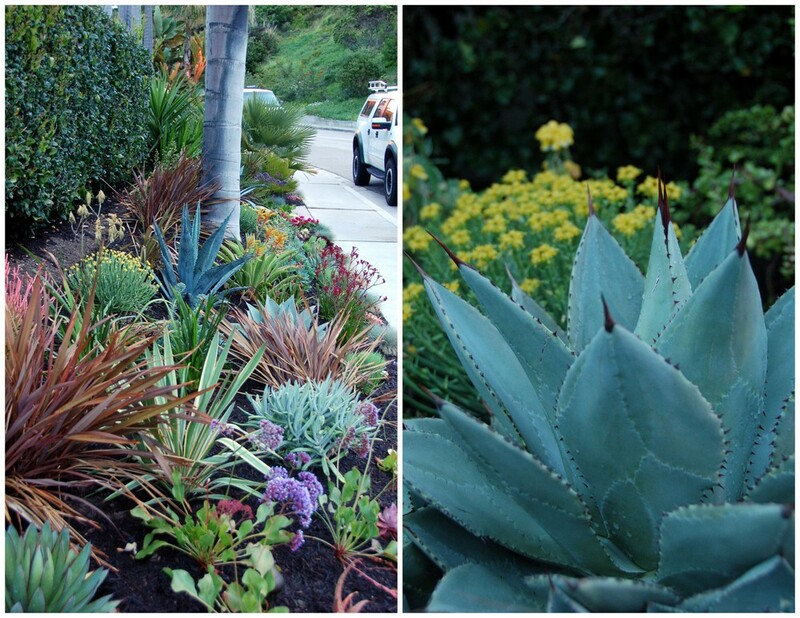 We chose a pallette of cacti, succulents and drought tolerant shrubs. The mixture of agaves, kangaroo paws, euphorbias and salvias created a wonderful, colorful environmentally friendly garden.